After the very lovely pampering by Hadara Aesthetics, I was delighted to be extended two of their best selling products from their self-created and curated skincare range, Dermagold. This under-the-radar brand began about a decade ago, where founders Grace Ling and Lim Luping, were looking for skincare products for themselves that were simple, effective and yet lovely to the senses after being unsatisfied with existing products in the market. 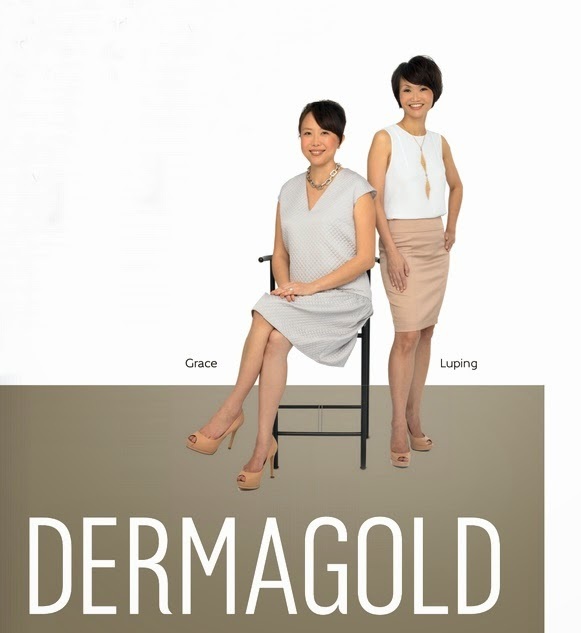 So combining their scientific expertise and knowledge, these two childhood friends soon created this skincare line which combined both the best of science and nature, with the core aim to achieve "skin you dare to bare". 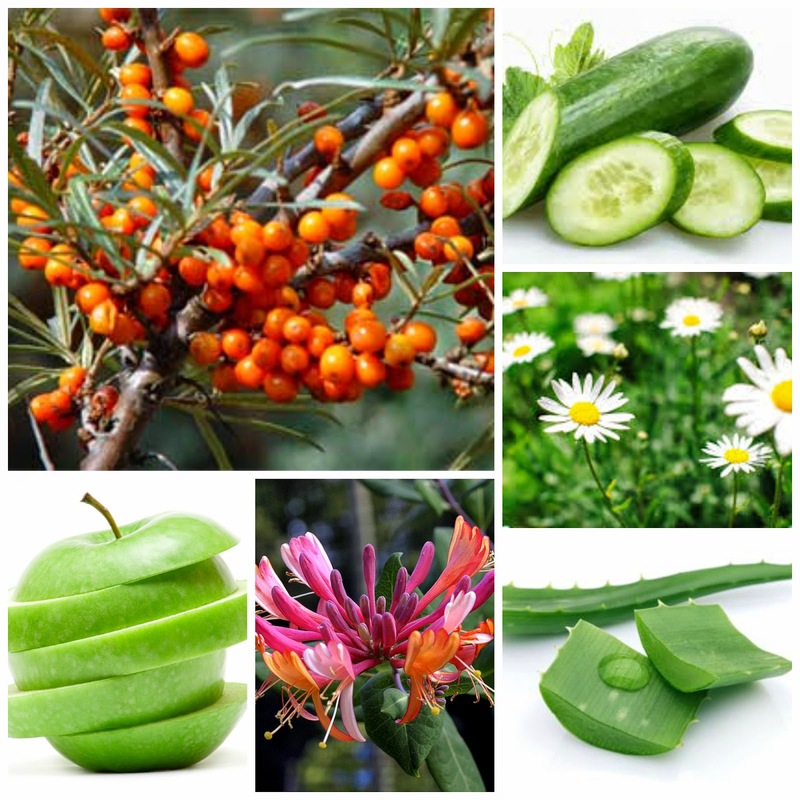 The special ingredient in their products uses sea buckthorn, and other natural actives ingredients such as aloe barbadensis, chamomile, cucumber, honeysuckle flower extract, and additional ingredients like Vitamin C ester, high performance peptides, swiss apple stem cells were added after to supplement the original basic range. Despite its use for centuries in Asia and Europe for its nutrient-packed, medicinal properties, Sea Buckthorn remains a well-kept skincare to the world. This special fruit is much loved as a skincare remedy as well as a nutritional supplement that boosts restorative activity. You'll be surprised to know that although this tiny berry which is about a third the size of a blueberry, it holds 12 - 15 times the amount of vitamin C as an orange; making it a natural healer and regenerator. Sea Buckthorn also contains high omega 3, 6, 9 fatty acid content, including the rare 7 type, which alleviates skin dryness, visible fine lines, wrinkles and other premature ageing indicators. But enough raving, time to put these babies to the test. The Miracle C+ serum ($69), a star product of Dermagold. Packed in a small sleek silver pump dispenser bottle, it minimizes the chances of oxidization to keep the active ingerdients fresh. About half to 1-quarter pump is enough to pat all over the face, prepping the skin before makeup staying power, thanks to its oil-control properties. I love how light it feels due to its watery-lotion consistensy, and thanks to its Aloe and Witch Hazel extracts, I feel it helps in calming the redness caused by healing, tender acne and spots. I pat this on as a layer of nourishment before makeup in the morning, daily. Ingredients: Organic Herbal Infusion, Organic Aloe Barbadensis Leaf Juice (Aloe Vera), Sodium Ascorbyl Phosphate (Vitamin C), Methylsulfonylmethane (MSM), Hyaluronic Acid, Hamamelis Virginiana (Witch Hazel), Carbomer,(2s)-2-Amino-5 guanidinopentanoic Acid, Organic Simmondsia Chinensis (Jojoba Oil), Ethylhexyl Glycerin, Phenoxyethanol. As always, I layer on after serums: here I have the the Dermagold Skin Elixir ($128). It's a gel-like orange texture is jelly-like, and smells delightfully of a fruity cocktail, much like a sweet jam. A pump-full glides onto face, becoming watery-like for fast absorption. It contains marine seaweed, a natural antioxidant which helps to fight blemish-causing free radicals, while its Jojoba ingredient helps to nourish skin's moisture levels. Ingredients: Water (Aqua), Glycerin, Hippophae Rhamnoides Fruit Oil, Laminaria Hyperborea Extract, Lonicera Caprifolium Extract, Echinacea Purpurea (Coneflower) Extract, Carbomer, Phenylpropanol, Butylene Glycol, Caprylyl Glycol, Allantoin, Simmondsia Chinensis (Jojoba) Seed Oil,, Soluble Collagen, Isopropyl Myristate, Chondrus Crispus (Carrageenan), Xanthan Gum, Sclerotium Gum, Glycine Soja Oil, Tocopherol, Phospholipids, Beta-Sitosterol, Glucose, Squalane, Sphingolipids, Sodium Hyaluronate, Carthamus Tinctorius, Linoleic Acid, Disodium EDTA, Fragrance, Tocopheryl Acetate, Lithospermum Erythrorhizon Root Extract, Retinyl Palmitate, Dunaliella Salina Extract, Hexyl Cinnamal, Linalool, Geraniol, Citronnellol. Personally for me, I do enjoy leaving this on through out the night for my skin to better take in the nutrients of the skin food during sleep. It may feel just the slightest bit sticky-wet at first but it mattes off in seconds. Not only do I wake up to a slightly dewy complexion the next morning, my face feel moisturized and dullness has been noticeably diminished after 2 weeks of use, based on once daily application (although its recommended to be applied during morning and evening.) I do like how my complexion has a brighter glow then before, which saves me the trouble of layering highlighting powder in my makeup regime. #01-01, Singapore 049035 or purchase them online at www.hadaraaesthetics.com. Interested to try it for yourself or get it as a gift? Quote “Junedujour” to receive 10% off any purchase of DERMAGOLD products! Offer is valid till 31 march 2015, so hurry!